Can Coolies with Bottom Imprints with your creativity and our design lab is a winning solution to produce a promotional product that gets everyone looking. 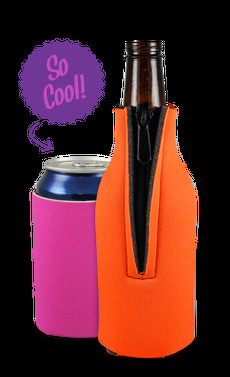 Can coolies are sure to grab the attention of others at your next personal or business event. Koozie is complete with a bottom imprint, allowing you to utilize the space for your company logo or slogan to further spread your message to current or future clients. Designed for 12 oz. cans and made with premium 1/8" thick, high-density, open cell foam, keeping your drink cold and your hands dry.